If you have an issue, good chance there is a book written about it. When it comes to sexual addictions, there are many books written about the issue. There are a couple books I have read and would encourage you to read. If you are interested in purchasing one of the books, I have include a link on the book’s image to go directly to the book’s page on Amazon.com. 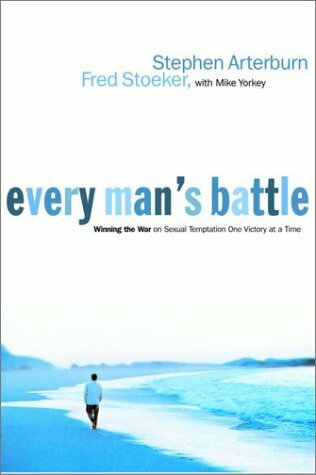 In this book, Joe tells about his past and his journey through the struggles of sexual sin. In a pulling no punches style, he leads you through a 30-day course to developing a game plan against sexual addictions. During the 30-days you will alternate between reading and answering questions. Joe has been on Focus on the Family mulitple times and The Game Plan is recommended by Focus on the Family. There is a good chance you may have heard of this book. Steve and Fred brought the struggle of sexual addictions to the front. They have been leading the way in showing men there is another choice than just hiding their struggles.